If you’re new to thrift shopping, or simply haven’t been often, it can be a daunting experience. Shop with confidence at your local thrift shop with these helpful tips. Thrift stores are known for discounted, gently-used clothing. However, many thrift stores offer specials and bargains on top of their already low prices. The Hearts Thrift Shop, located on Tonawanda Street in Buffalo, offers Daily Deals, such as free books and 50% certain housing decor. Many thrift shops are a part of charities who offer social service operations, such as the big name Salvation Army and Goodwill. Hearts Thrift Shop began as a way to provide necessary items to Buffalo residents in need, as well as a way to fund the Hearts for the Homeless Mobile Soup Kitchen. After expenses, all proceeds from our thrift store are used to support the operation of our mobile soup kitchen and meet some of the needs of families in the local community. We have recently been able to expand our services to a new food pantry across the street from our thrift shop, Hearts Harvest Pantry and Cafe. 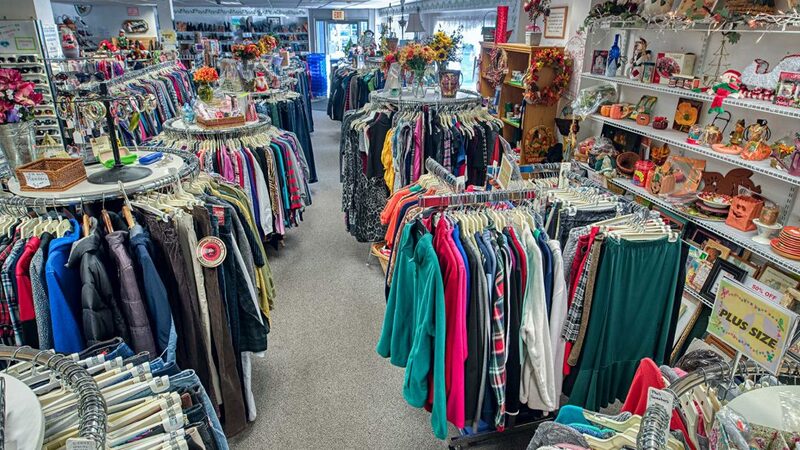 Shoppers at Hearts Thrift Shop often comment how they feel a sense of peace and stressed relieved as they enjoy their surroundings while they shop. With Christian music in the background, customers can shop clothing for the whole family, shoes and accessories, housewares, and home decor. As you fill your closet with great deals on clothing, accessories, shoes, and household items from your favorite thrift shop, remember to give back. You can make room for the new by donating your gently used clothing, accessories, linens, and small household items, in good condition. Donated items can be dropped off at our ministry center at 890 Tonawanda Street in Riverside, Monday-Saturday, 10:00 am to 5:00 pm, or at one of our 400+ donation bins 24 hours a day, 7 days a week. You can instantly get a tax deductible receipt by visiting our website. Thank you in advance for donating items to help support our outreach efforts. Remember, you can also support our mobile soup kitchen and new food pantry by shopping for bargains at Hearts Thrift Shop.